Homemade fruit conditioners for hair care. – Hair care for you. Tricks for hair conditioning. Many of us dream about having beautiful, healthy, and neat hair that accompanies the perfect look of our outfit. Not surprisingly, proper hair care might help with achieving this goal. And the best thing about it is that hair care does not necessarily have to be full of self-sacrifice. The most profound effects are produced thanks to use of widely accessible, natural and well-known products. Here are three natural fruit-ideas for making hair conditioners. Which fruits will turn out to suit your strands best? Fruit is a sweet source of vitamins. Owning to the positive influence fruit has upon the human organism, it is worth introducing it to diet, just to provide nourishment from the inside. What is more, natural substances that fruit owns, intensify action of cosmetics, especially the products designed for hair care. In the light of this fact, it is considered beneficial to take advantage of fruit extracts included into hair beautifying products. 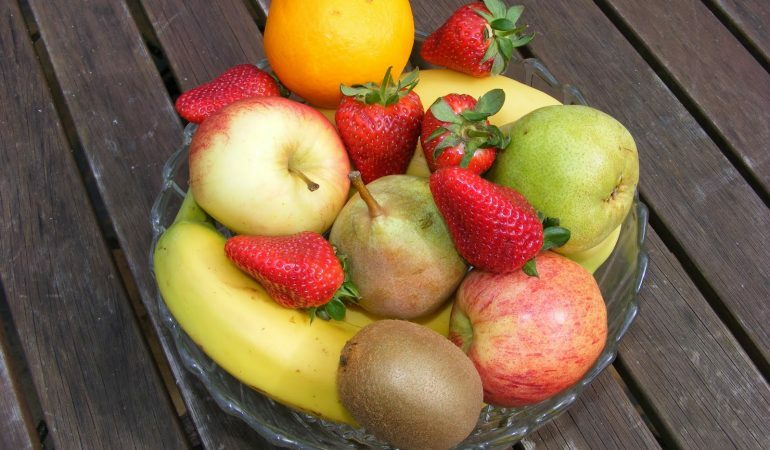 For that reason, we are taking a closer look at three, the most popular fruits that can help with improving condition of our strands – banana, apple, and strawberry. Products containing banana extracts are recommended especially for dealing with dehydrated hair problem. Banana conditioner is able to smooth frizzy hair, moisture dehydrated strands and add shine to matte tendrils. Additionally, banana conditioner strengthens, regenerates and rejuvenate hair. This action is possible due to vitamin, potassium, and active substances presence. Indeed, strawberry is an exceptionally fragrant fruit therefore, cosmetics containing the very extracts smells good as well. Energizing power of juicy strawberry is a huge portion of miniaturisation for hair. Furthermore, acids strawberries have help close opened cuticles of hair. As a consequence, the problems of lack of flexibility, split ends, brittleness and dullness are eliminated. One of the most popular English fruit is apple, which is known for delivering plenty of beneficial action to hair. A hair conditioner containing apple extract as its main ingredient is able to cleanse and regenerate strands. It is recommended especially for treating fine hair, which has been dyed, since the apple acid restores condition of this type of strands. Homemade or bought in a store? Although application of both products has its pros and cons, it is believed that homemade hair conditioners are a way better solution for coping with the problem of distressed hair. These are safer, made from 100% natural ingredients, do not contain any preservatives nor aggressive substances. What is more, the risk of allergy is considerably decreased. The only disadvantage of homemade hair masks is the time that has to be devoted to prepare such cosmetics.